Samsung doesn’t have the best reputation when it comes to software updates but they do at least focus on the recently released flagship smartphones. These devices are almost always guaranteed to receive two full version updates of Android. The company also likes to improve their existing hardware and software features as well. Samsung Galaxy Note 9 owners who use their device to take a lot of photos will be happy when they receive this upcoming update from the South Korean conglomerate. Many consider Samsung’s Galaxy Note 9 to produce the best photos when compared to all other smartphones on the market at this current time. Others feel that Samsung adds too much of a sharpening effect to their images, but this can easily be considered a subjective issue as there are many who prefer that look in their style of photography. 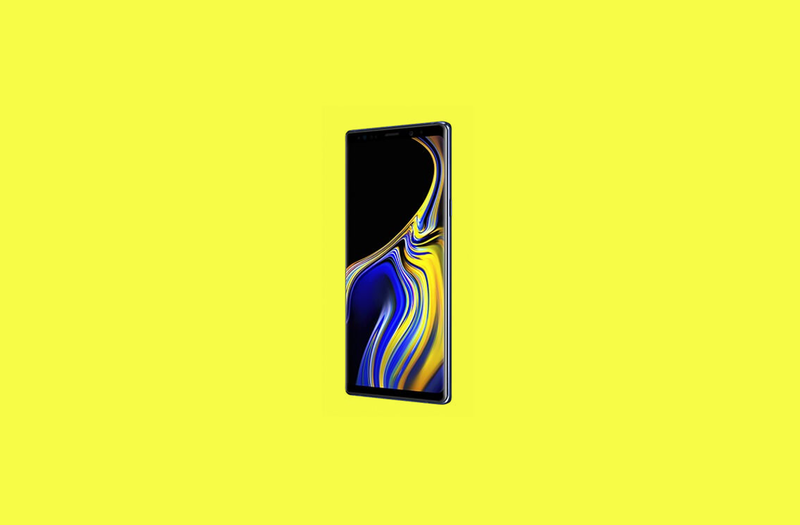 Either way, Samsung has begun rolling out a new update to Note 9 customers in Germany that brings their firmware version up to N960FXXU2ARI9. Since the Galaxy Note 9 is Samsung’s first smartphone with Scene Optimizer, it makes sense that they will continue to work and improve its camera performance as time goes on. There’s only so much internal testing that can be done and most software features need to be put out in the wild before developers can iron out the kinks. 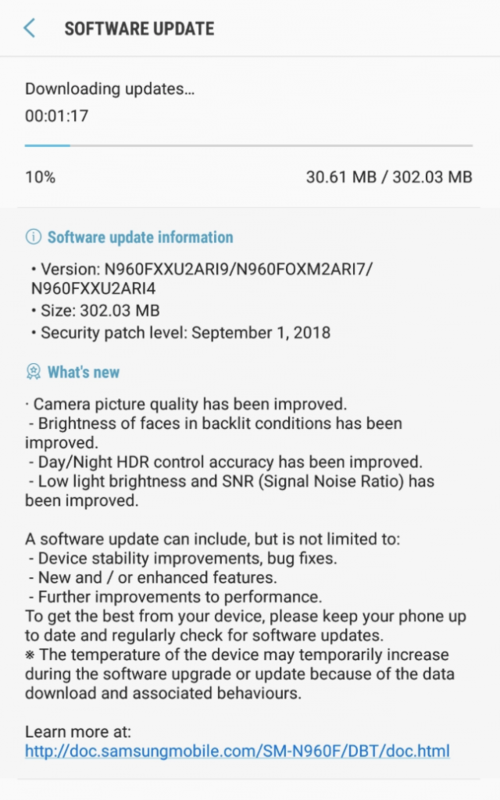 This new OTA update weighs in at just over 300MB in size, it comes with September’s 2018 Android security patches and as I mentioned, focuses a lot on the camera of the smartphone. Samsung also notes that even though these are the highlighted features of this update, there could be some other changes included as well. This could include device stability improvements, bug fixes, new or enhanced features, improvements to performance, and more.